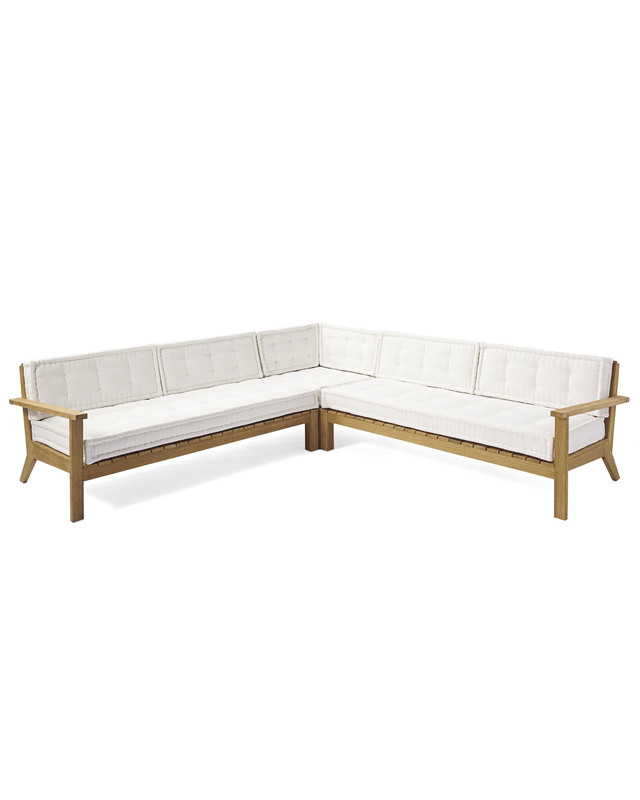 Cliffside Teak SectionalCliffside Teak Sectional, alt="Cliffside Teak Sectional, "
Print Destined to become a classic, our streamlined silhouette is crafted from the finest sustainable teak that retains its beauty season after season. 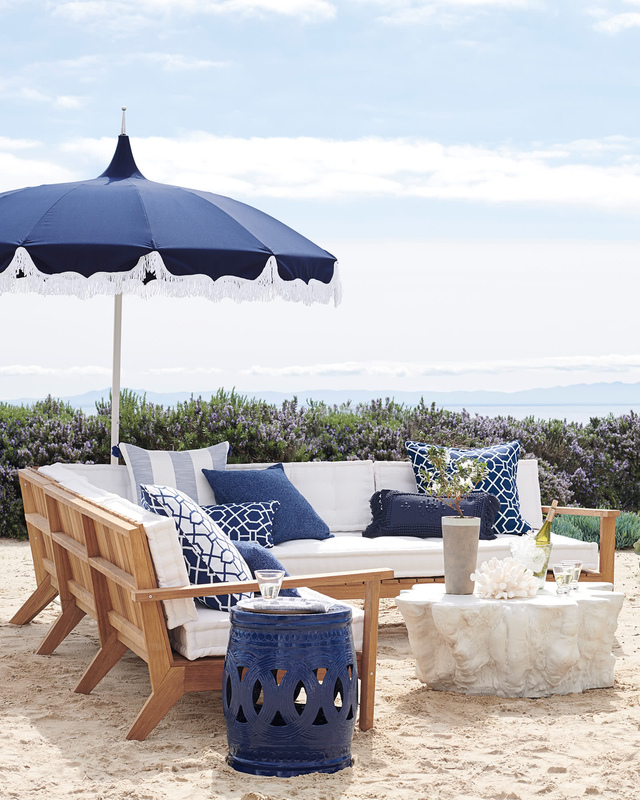 A deep, tufted seat keeps things elevated and provides crisp contrast against the natural frame. Extra design points: Teak’s distinguished silvery patina will develop over time, giving your furniture mellow grace and character. 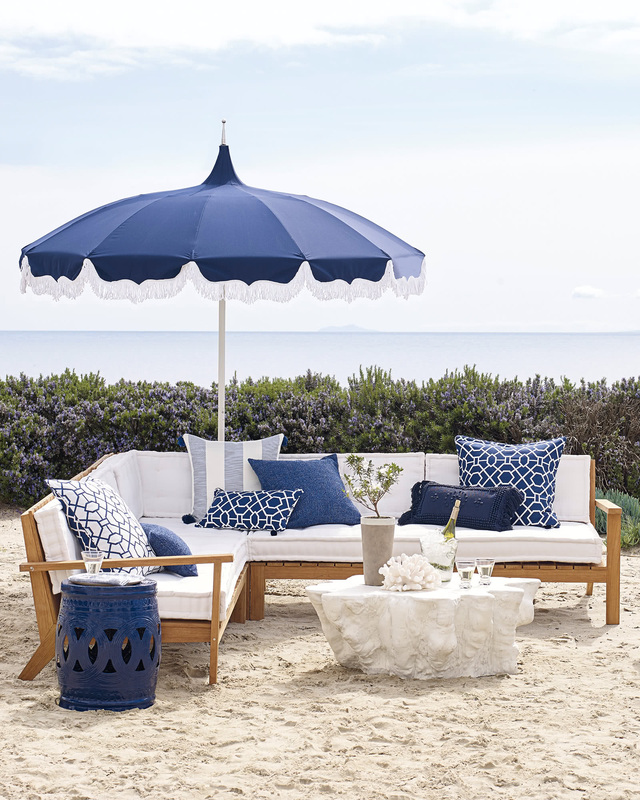 Tufted Sunbrella® Canvas cushions come with self-piping and an all-weather foam and polyester fill. 109.5”W x 109.5”D x 30.5”H overall.